Wera Torsion Stainless Steel Bits Hex Tip Features Head Hex plus 4.0mm. Length 25mm..
Wera Torsion Stainless Steel Bits Hex Tip Features Head Hex plus 1.5mm. Length 25mm..
Silverline 656584 Hex Titanium Driver Bits Features 10 Titanium screwdriver bits. 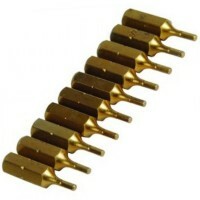 1..
Silverline 793757 Hex Titanium Driver Bits Features 10 Titanium screwdriver bits. 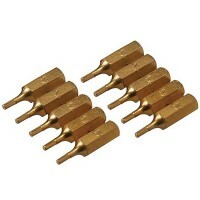 1..
Wera Torsion Stainless Steel Bits Hex Tip Features Head Hex plus 5.0mm. 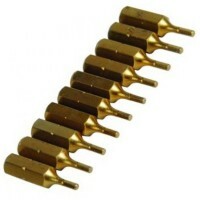 Length 25mm..
Silverline 783098 Hex Titanium Driver Bits Features 10 Titanium screwdriver bits. 1..
Wera Torsion Stainless Steel Bits Hex Tip Features Head Hex plus 2.0mm. Length 25mm..
Wera Torsion Stainless Steel Bits Hex Tip Features Head Hex plus 6.0mm. Length 25mm..
Wera Torsion Stainless Steel Bits Hex Tip Features Head Hex plus 2.5mm. 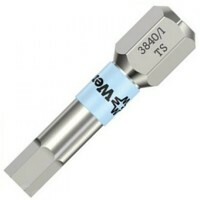 Length 25mm..
Wera Torsion Stainless Steel Bits Hex Tip Features Head Hex plus 3.0mm. Length 25mm..